Quite brilliant - inventive, fascinating and compulsive. A wonderful book that, as a writer, makes my head hurt to imagine how it might have been written. Each body he inhabits brings an interesting set of challenges and the whole story is woven together in a way that feels impenetrable at first but interest and the pace of events kept me going, then before I knew it I was hooked and desperate to read all the way through to the end. It's two stories in one and neither disappoints, highly recommended. 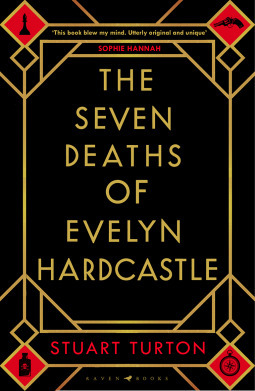 Sign into Goodreads to see if any of your friends have read The Seven Deaths of Evelyn Hardcastle.